The best waterproof products to keep you looking hotter than ever this summer. Whether you're working on your Snooki-shade-of-bronze, splashing in the sea, or getting into a boozy game of beach volleyball, the last thing you want to worry about is streaky, smudgy or melting makeup. Just because you're spending the weekend on the beach, doesn't mean you have to go completely bare-faced. Although summer lends itself to a more low-key beauty routine, you don't have to be entirely makeup-free for a beach day of baking in the sun. Complement your ocean-breeze curls and itty-itty bikini with a natural and simple makeup routine that offers you enough coverage to feel confident, without appearing too high maintenance. We give you five waterproof products to keep in your beach bag, along with a tube of sunscreen, snacks and that must-read romance novel. Give your slightly-sweaty sun-kissed glow a refreshing pop of playful lip color while lounging on the beach. In the heat, always opt for matte lipstick as opposed to gloss or shimmer. No need to buy all new products for a day on the shore! This lightweight liquid converter transforms powder formulas and pencils into waterproof, smudge-proof, long lasting makeup. The sticky summer heat calls for a heavier duty primer or powder than you may be used to. 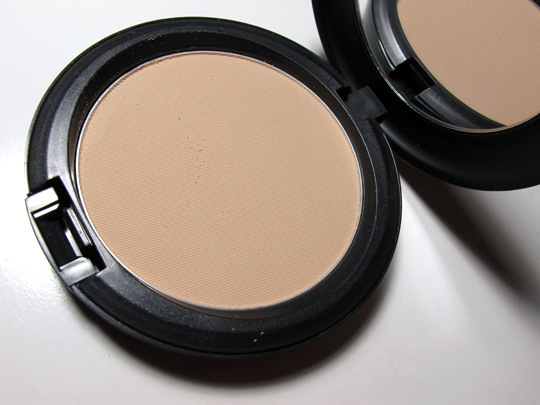 Celebrity makeup artists love this MAC product to manage oil and shine for a perfect sun-kissed, sweat-defying glow. Give your lashes a flirty, fluttery boost as you frolick on the beach. With an extra-full brush, ultra-volumizing formula and water-resistant technology, Diorshow delivers luxuriously lush lashes that last for hours in the sun and surf! Add a little sultry, smokey appeal to your voluminous lashes and sun-kissed glow with this highly pigmented, waterproof eyeliner that glides on unbelievably smooth, and easy.